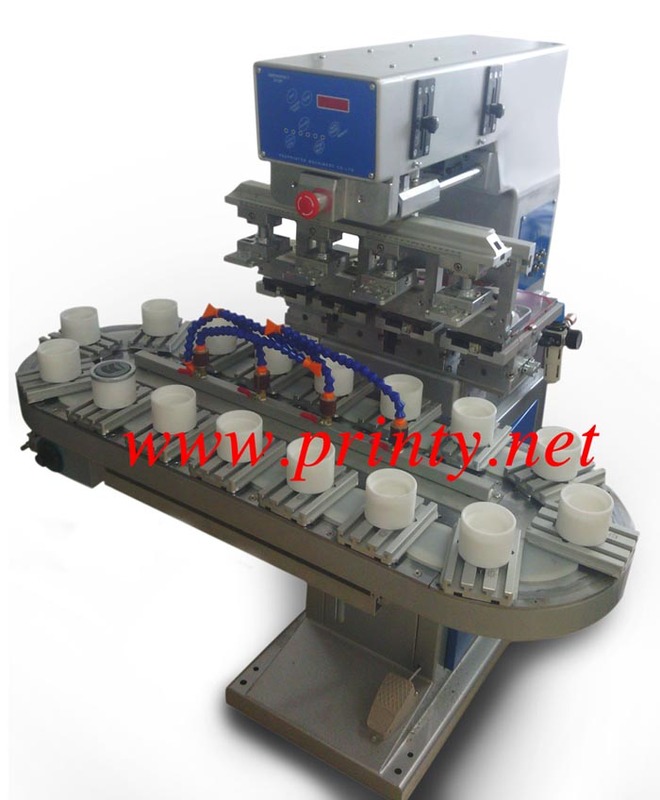 Professionally manufactures and wholesales cap or golf ball ink cup pad printer,semi automatic 4 color conveyor pad printing machine equipment,high quality cap or golf-ball pad printer machines. It is suitable for pad printing on regular or irregular surface of promotional items such as caps,golf balls,pens,baby feeding bottles,usb,cups, trophy,toys,keyboards,calculators,key rings,CD/DVD,telephones,covers,headphones, masks,memory cards,switches,hardware accessories, syringes, cards,toothbrushes etc. It can be set to print one color to four color through the front control panel.